Medicine Hat Media was first came into realization after many days of wondering what to name ourselves in an ongoing discussion between Sean and myself. We eventually settled on “Medicine Hat Media” – it just had a good ring to it, plus it fit our vision of what the site would be. 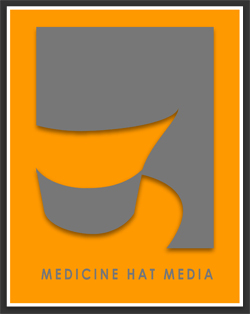 Unknowingly for us, “Medicine Hat Media” was a a physical company before we snagged the .com domain in 2008. From what we are able to see (from the portions of the site that still work) it was a graphic and web design company with a team made up of Mike Helton, James Robertson, and Niko Poulopoulos. Where they went or what they did after is a mystery! Judging from their earliest archived site, it seems like they might have been around longer than 2004 too, since they refer to that site as version 2.0. Comment if you have any stories or know anything else about the previous Medicine Hat Media. This entry was posted on Tuesday, April 28th, 2009 at 4:05 PM and is filed under Design, Rants & Stories, Websites. You can follow any responses to this entry through the RSS 2.0 feed. You can leave a response, or trackback from your own site. Free advertising and linking? I’m down. I like how all their gallery items go to our 404 page.